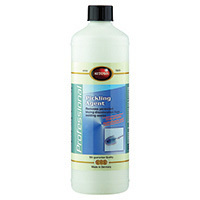 IMS Company - Pickling Agent (Concentrated Form of Bluing Remover), 17 oz, (500 ml) Bottle. Removes the Most Persitent Burns and Bluing Discoloration from Welding Seams. Also Will Clean Natural Bluing Which Can Occur from Thermal Mold Cycling.